As negotiators we are always under pressure by our management to “close the deal”. I think that we are open to wrapping up our current negotiation as quickly as possible. However, we face a number of issues in trying to accomplish this no matter what negotiation styles or negotiating techniques we use. For a number of different reasons, a negotiation can drag on for weeks, months, or even years. Another reason is that one of the parties involved in the negotiation may be unwilling to make a best offer that would wrap up the negotiation. Finally, the presence of tough competition can cause the other side to not want to close with you. Given all of this, what can we do as negotiators to make a closing happen faster? It turns out that how we start a negotiation is a critical first step in the process of being able to close a negotiation faster. One of the reasons that our negotiations can drag on for so long is because we have failed negotiate a explicit process for how we wanted the negotiation to proceed at the beginning of the negotiation. We need to talk about the process before we talk about the specific issues that will be negotiated or the parameters that will guide the negotiation. What we need to do is to find out what ground rules will be needed for this negotiation. A person to facilitate this negotiation needs to be identified before the negotiation starts. Both sides have to agree on what issues will we be discussing and when will we be discussing them? If we are able to map out the process that we want to follow for this negotiation this can help us to avoid making any false assumptions during the negotiation. The result of this should be that the negotiation becomes more streamlined and efficient. The way the we can get to the point in a negotiation where the discussions can be closed is by making process from the start to the end. In order to determine if we are making that process, we need to have benchmarks. We need to create short-term benchmarks and at the same time identify an ambitious final deadline. Part of the process has to be making decisions about what will be done if we are unable to meet a benchmark or a deadline that we’ve set. If this happens, a discussion has to be had about if we need to come up with a new schedule and what we can do to improve it going forward. As we reach the end of a negotiation, we are often afraid that we may end up making too many concessions. The good news is that the other side is under the same pressure. We need to realize that deadlines can help to spur concessions and more quickly close a negotiation. One of the most important things for us to realize as a negotiator is that any negotiation that we are participating in does not occur in a vacuum. What this means for you is that even during your negotiation, the other side may be receiving information on a more attractive offer from a competitor. This could quickly become an obstacle to your ability to close this negotiation. If you sense that this may be happening, this is the time for you to try s shut-down move. Propose to the other side that the both of you engage in a limited, exclusive negotiating period lasting perhaps one week. During this time period the other side agrees to not entertain offers from your competition. The goal of every principled negotiation that we participate in is to reach a deal with the other side. In order to make this happen, we have to eventually reach a point in the negotiation where we are able to get the other side to agree to close the negotiations. This can be difficult because of issues with the negotiation or because of outside factors. 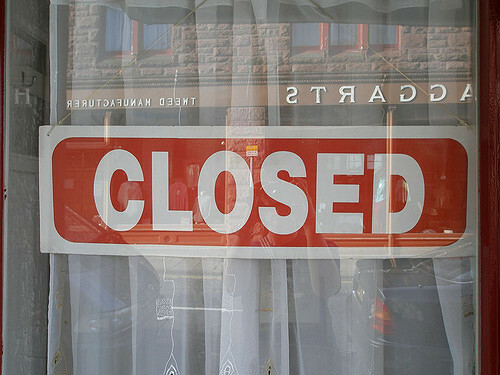 What we need to do is to learn how to move a negotiation closer to being closed. If we want to have any chance of successfully wrapping up a negotiation, we need to start the negotiation off correctly. This means that we need to have a discussion with the other side about the process that we want to follow for the negotiation. This will lay down the ground rules for both sides to follow. Next we need to establish some milestones and deadlines. These will be used to track our progress through the negotiation and to make sure that both sides know when to start to wrap things up. Finally, if we feel that the other side is delaying because they may be getting offers from our competition, we can try a shut-down move that will lock out the competition for awhile. Our success as a negotiator will be judged based on our ability to close negotiations. Getting the other side to agree to do a deal with us can at times be a real challenge. We need to know how we can motivate them to agree to wrap things up with us. Use these three tips to move your next negotiation to close quicker! Question For You: When you are creating benchmarks with the other side, should you be the one suggesting the dates for when goals should be reached? Just imagine the next negotiation that you are going to be involved in. You sit down at the table, you have your notes easily available to you, you’ve done your homework and you know who’s going to be negotiating with you today, you know what negotiation styles and negotiating techniques you want to use, and then the negotiations start. Generally these things start by having everyone agree as to why they are there and what the goals for the negotiations are. The big question is what then? Is this the time that you should make the first offer to see if you can wrap things up immediately?